Carter Sanford pitched a complete game against Cordova to record the win for Fayette. The Fayette Tigers baseball team swept Cordova last week to head into the area championships on a winning streak. 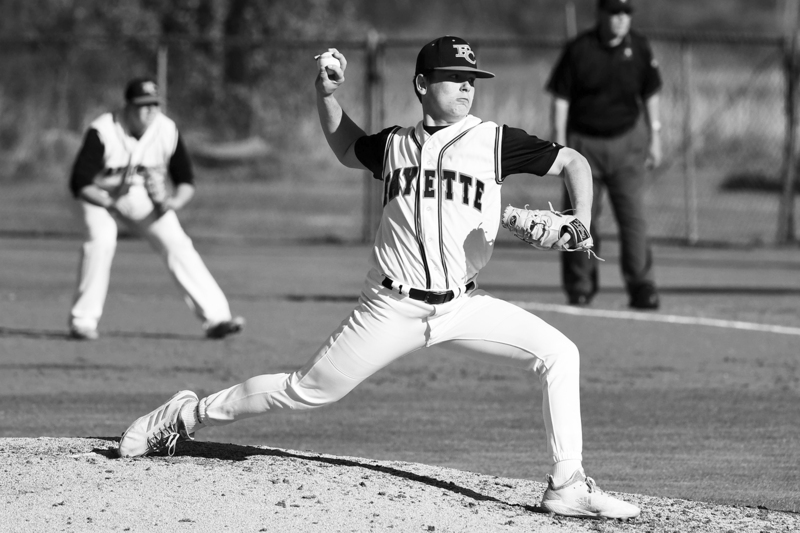 Fayette defeated the Blue Devils 3-1 in a pitchers’ duel at home on Tuesday, April 4. Cordova scored first in the top of the fourth inning, but that would be the only score that Cordova would notch in the game.